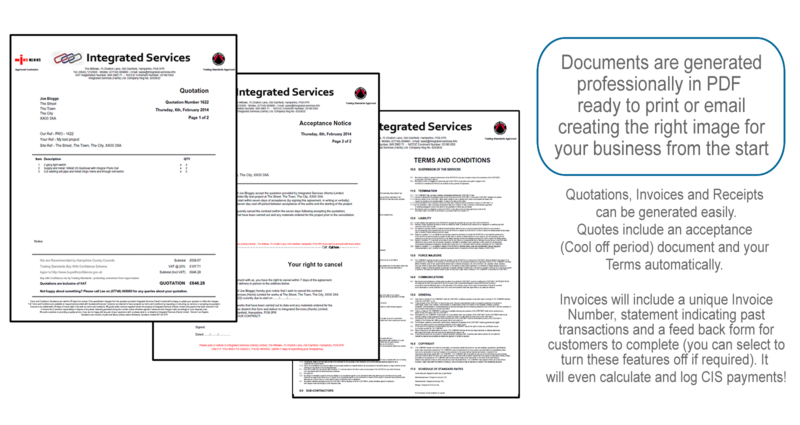 Developed by small business for small business. 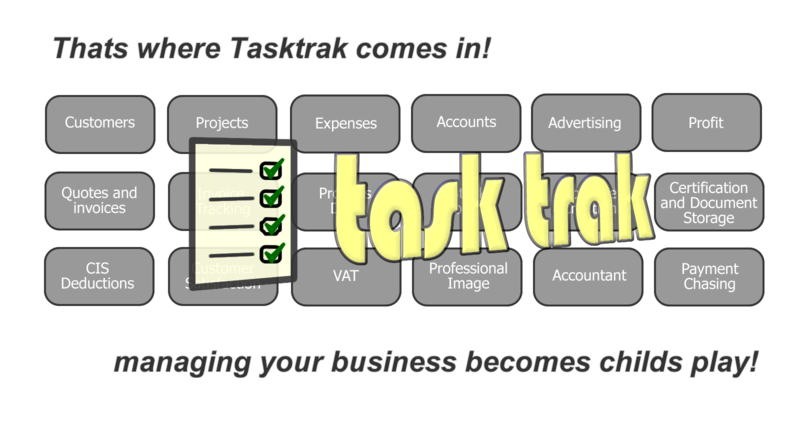 Generating Quotations and Invoices is quick and easy due to Tasktraks self learning template system. add them into the template system for recall on future project entires. 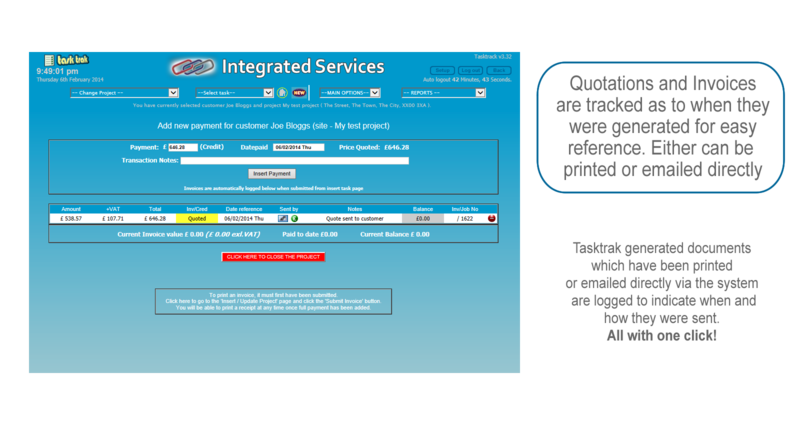 So the next time you need to use a similar item in a project, the information, materials and costs are already to be selected! No more digging through the filing cabinet to find that project from six months or two years ago! Its all there, just perform a simple search! 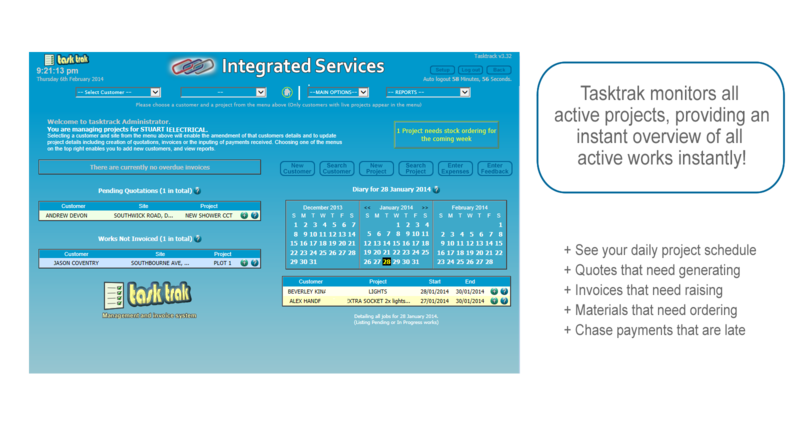 quotes that need to be completed and highlights payments that need chasing; automatically on the home screen. 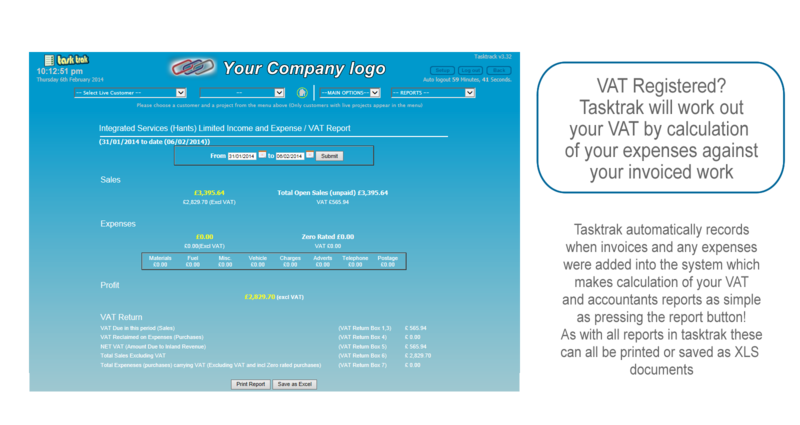 (for example invoices, materials used, VAT returns). Not only will it hold all of your project information, its easy to search search! 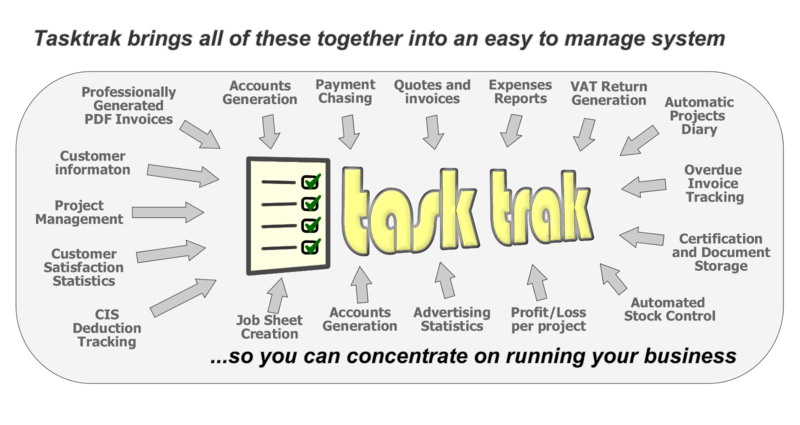 Tasktrak amalgamates all of your projects, customers and suppliers information into one easy to use system. 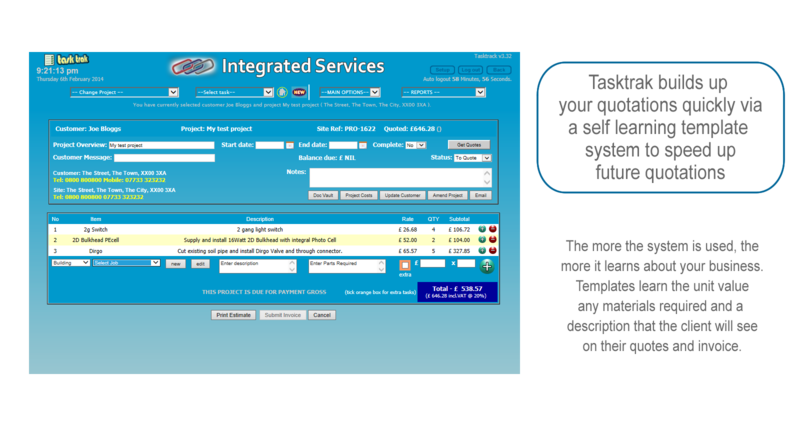 Quite simply, this software will save you time and money.